Good morning. 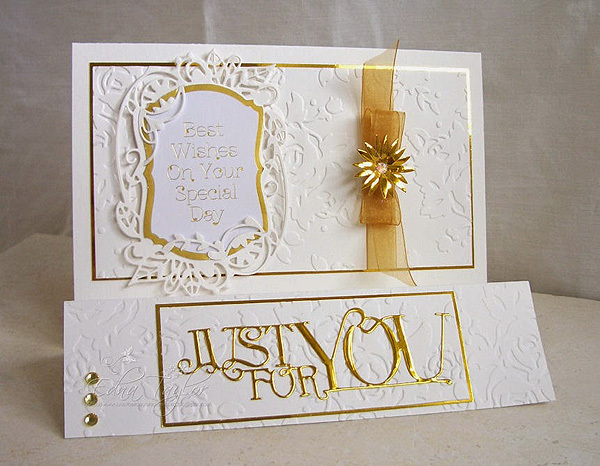 I've another sample card to show you today though the POTW sold out in double quick time! 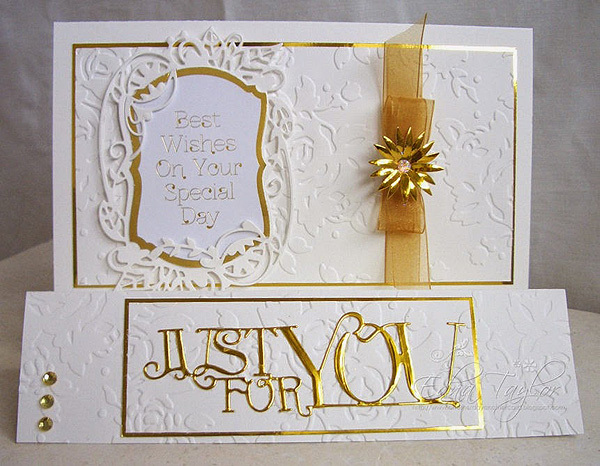 I embossed the back panel and the stepper part of the card for added interest. The floral frame holds the topper beautifully but it could just as easily be a stamped sentiment or image and it would work perfectly. I added a spot of Glossy Accents to the centre of the flower and sprinkled glitter for added bling. Thank you for joining me, have a great day!